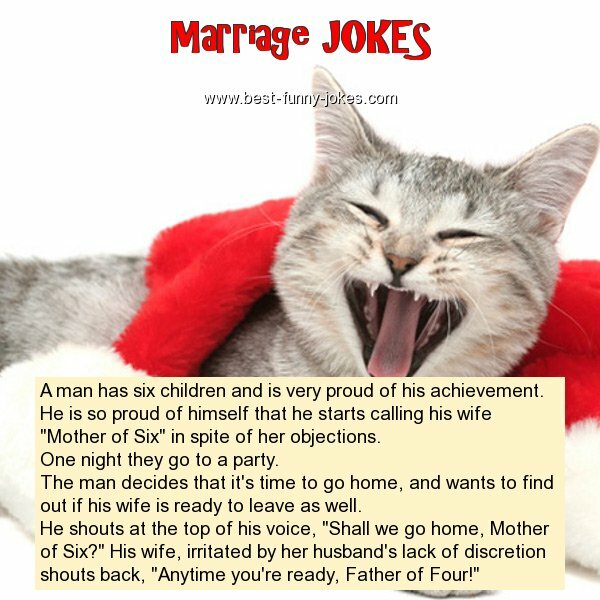 He is so proud of himself that he starts calling his wife "Mother of Six" in spite of her objections. The man decides that it's time to go home, and wants to find out if his wife is ready to leave as well. He shouts at the top of his voice, "Shall we go home, Mother of Six?" His wife, irritated by her husband's lack of discretion shouts back, "Anytime you're ready, Father of Four!"